Could the Cleric Beast be inspired by the Algonquian legend of the Wendigo? It was mentioned on the Wikia Cleric Beast page that the Cleric Beast looked similar to the Wendigo, a creature from Algonquian legend. The comparison photo below seems to confirm this, as they do look strikingly similar. They are both humanoid beasts. In addition, they both have antlers and an exposed rib cage. 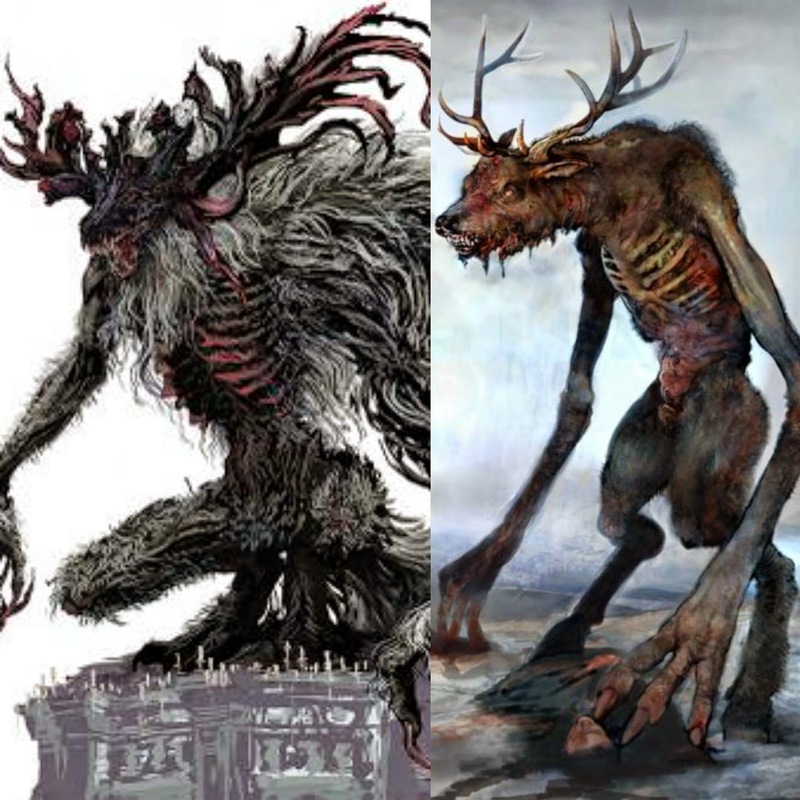 There a certainly differences (the Cleric Beast has bigger antlers and asymmetrical arms, with the left arm being much larger), as well as varying depictions of the Wendigo, but they certainly look similar enough to warrant further research into the matter. I decided to find out more information about the Wendigo and see if there anything else about it might resonate with what we know about the Cleric Beast or Bloodborne so far. "The creature or spirit could either possess characteristics of a person or a monster that had physically transformed from a person." "All cultures in which the Wendigo myth appeared shared the belief that human beings could turn into Wendigos if they ever resorted to cannibalism, or, alternatively, become possessed by the demonic spirit of a Wendigo, often in a dream." The fact that Wendigos are the result of a human transformation is a big connection, but it ultimately boils down to an interesting fact that doesn’t really give us any other hints. What I find really interesting are the reasons that a person becomes a Wendigo: by practicing cannibalism or by being possessed in a dream. 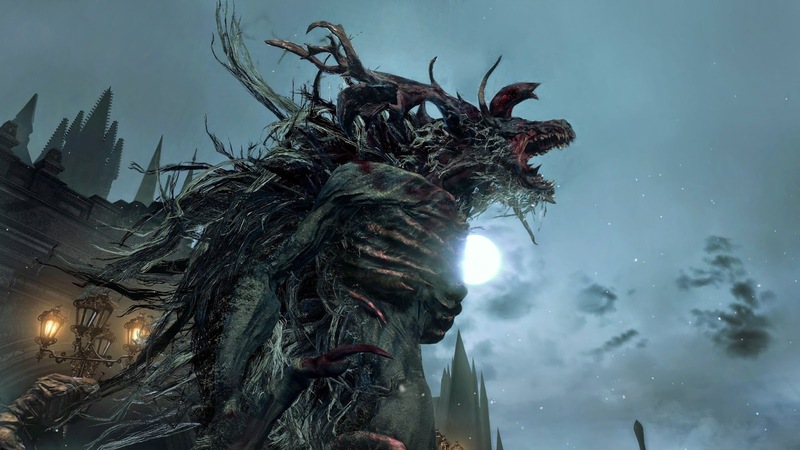 While the Cleric Beast could potentially have a connection to cannibalism (the consumption of blood does not seem entirely divorced from this idea), being possessed in a dream resonates much more with what we know about Bloodborne. I am not implying that people become Cleric Beasts by being possessed while they dream, but I think that it adds further support to the idea that the Scourge comes from the Nightmare World, or at least has a strong connection to it. Either way, it is an interesting connection to a major theme, and is worth keeping in mind as we learn more about the nature of the Scourge and how the Nightmare World plays into the events in Yharnam. Worth mentioning that the now-popular depiction of the Wendigo as a kind of undead dear-man hybrid is a really modern creation, originally conjured up by Larry Fassenden's movies about the legend and cemented when they became a Pathfinder monster. In actual folklore they're described as tall and impossibly thin humans. The similarities are striking, also the connection to the dream/nightmare. honestly there are some very unclear things about the nightmare and dream realms that I don't fully understand yet. Your website is very helpful for explaining the lore, thanks!